Get motivating health and therapy articles sent directly to your inbox. Are you, a friend, or a family member experiencing pain? We offer a complimentary assessment. If we can help, we'll tell them how. If we can't, then we will direct them to someone who can. Just have them call our office and set-up a complimentary assessment and we will help direct them towards better health. "I don't want anyone to have the need for physical therapy, but I would absolutely (and already have) recommend RPC PT to friends and family..."
"The staff are sincere, genuine and attentive. The one on one and hands-on approach they offer makes me look forward to going and leaving feeling confident about my recovery." 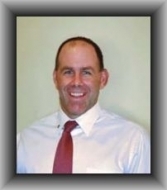 "...I would highly recommend Brian Prell to anyone seeking physical therapy." "...I have seen Brian as a patient myself and have been extremely satisfied with his bedside manner and level of expertise, and will plan on continuing care with Brian for myself and my patients should the need arise." ~ Dr. Vindy Centa, D.O. "...I tip my hat off to Brian and his team for their ability to consistently provide quality of care, ahieve projected outcomes, yet still optimize everyone's valuable time in a relaxed, professional, one-on-one caring environment." ..."I was very accustomed to a less than personal experience, but your office was recommended to me as a lower volume, more patient-centric environment. True to what I heard and read from your website I can honestly say after 6 months of bieng a patient with you all that you hold true to your word. As a patient; thank you for that!" Don t want to receive these emails any more? Please unsubscribe instantly. Acquired Immuno-Deficiency Syndrome (AIDS) is caused by the human immunodeficiency virus (HIV). It is a global health problem that results in a significant impact on one’s emotional, physical and psychological state. 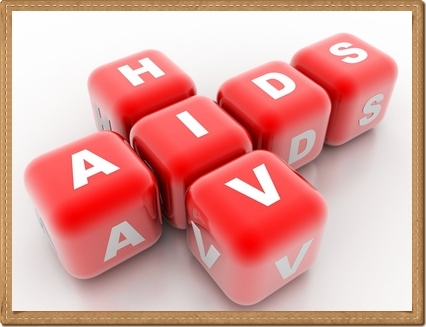 With recent strides in medicine, AIDS can now be managed effectively. This allows patients to maintain a reasonable quality of life as the disease progresses. Physical therapy forms an important part of the treatment process. The long, protracted course of AIDS can manifest in different ways. The impact on the patient can range from mild and progressive to rapid and devastating. Physical therapists are trained individuals who can identify muscular and joint deficiencies in AIDS patients during different stages of progression. Exercise therapy is an important foundation of AIDS treatment. A structured program can help patients maintain and regain optimum function to manage the activities of daily living. It can help improve energy levels and allow patients to maintain self-confidence. Exercise therapy can range from aerobic exercises to resistance training. Exercise helps improve overall fitness, improve cardiovascular health and maintain independence. A physical therapist will emphasize exercise quality over quantity. A well designed exercise program can help patients achieve greater results in a shorter period of time. This involves exercises that increase the heart rate and blood circulation. Activities include brisk walking, walking uphill, jogging, and swimming. Aerobic exercises burn fat and help improve body composition. In a group environment, light to moderate aerobic exercise fosters a sense of community and motivates patients to 'stick with the program'. These include exercises that involve weights or some form of resistance. Muscle wasting and weakening of the immune system is common with AIDS. This can result in an increased risk of infections and an inability to exercise. 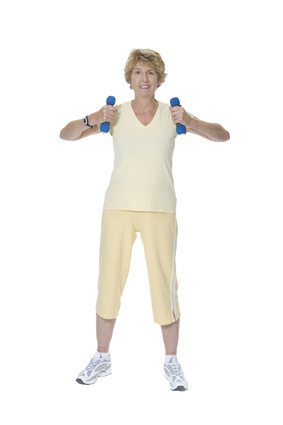 The best way to maintain muscle strength is with a simple, progressive home exercise program. It's possible to use one's own body weight as a good form of resistance. Such exercises can help improve strength and muscle tone. This helps improve joint stability and balance for AIDS patients. For an AIDS patient, self-pacing is an important safety precaution during exercise. The right kind of exercise will leave the patient feeling energetic, instead of feeling tired and fatigued. Everyone likes to be independent. Physical therapists recognize the need for freedom and mobility for AIDS patients. Patients can live a healthy, happy quality of life without feeling dependent on other individuals. Aerobic exercise improves your body's ability to use oxygen and increases the efficiency of the heart. This allows the patient to participate in physical activity and reduces the tendency to get out of breath. AIDS patients can develop neuropathy, which involves the nerves. This can result in varying degrees of pain from mild, aching pain to sharp, stabbing pain. Exercise can be a valuable tool in pain reduction, and a physical therapist will guide patients to work within the limits imposed by pain. 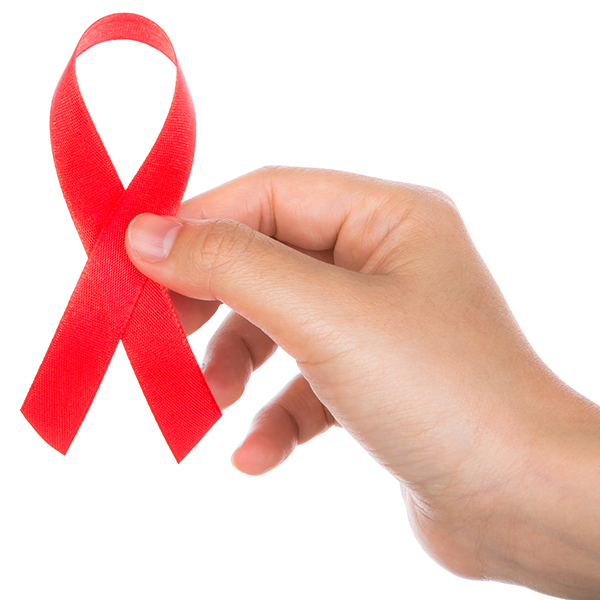 Physical therapy has a number of benefits for patients suffering from HIV. In fact, individuals all over the world are embracing the benefits of physical therapy. They are recognizing all the benefits of an experienced, caring physical therapist. We are here to help every individual in our community. Please reach out to us today, and give us the opportunity to show you how physical therapy can change your life, and the lives of those around you.